If you know me, you know I love the post it notes. All shapes, all sizes – from the itty bitty flags to the big week at a glance calendar post-it. 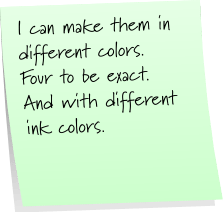 Just the other day my youngest girl walked in my office, took a long look around and announced “Mom, post its are not an organizational system.” Bless her heart, she’s only 17 and doesn’t know the ways of life. I love to organize by post-it. A strategically placed hot pink, heart shaped post-it will grab my attention quicker than a clanging symbol. 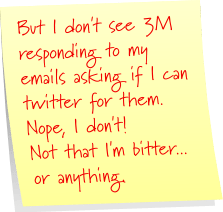 I want y’all to play along – here’s the link to make your own super stickies… since we know they aren’t official Post-it notes since they don’t return my calls or rather emails. Moving on…. 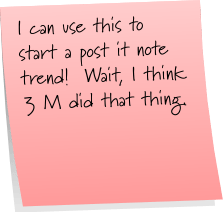 So have fun and make your own post it super sticky notes!! 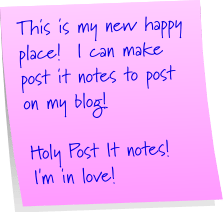 Your blog is precious! I love it! The post-it notes are too cool :0)! I wish I could’ve gone to the gIRLs retreat. I know God showed up and showed off big time!